As brewers, we strive to realize the veritable Form of beer as Plato might have envisioned. We challenge ourselves every day to improve our processes, source better materials, foster healthier relationships, soldiering forward on an endless march of discovery. In our effort to realize the future, we deeply respect the enduring relevance of our primitive past. As we rediscover old techniques, outdated methods, and forgotten styles, we are reminded that one person’s progress is another’s devolution. We live within a timeless and necessary dichotomy of old and new, an ever expanding landscape of the well-remembered and the vast unknown. It is here that we find ourselves as Future Primitive Brewing. This is definitely not a commentary on Seattle’s decision to tear down the Alaskan Way Viaduct in favor of an undersized and claustrophobic subterranean passageway with zero downtown exits and total disregard for what is (was) arguably the best free view in the city, nor is it a thinly veiled complaint about our inability to open new routes before choking off existing ones, but if it was it would certainly be timely. Wherever it is you need to go these next few weeks, we wish you the best! As for us, we’re staying here. All in the numbers… On 11/01 of this year Future Primitive milled its 1st beer, batch number 001, to be brewed into fermenter #1. It was and is an American-Style Barleywine weighing in at 11%. The name of this inaugural beverage? One. We then made a small beer from the same mash called Little One (see above) but we’ve already talked about that. 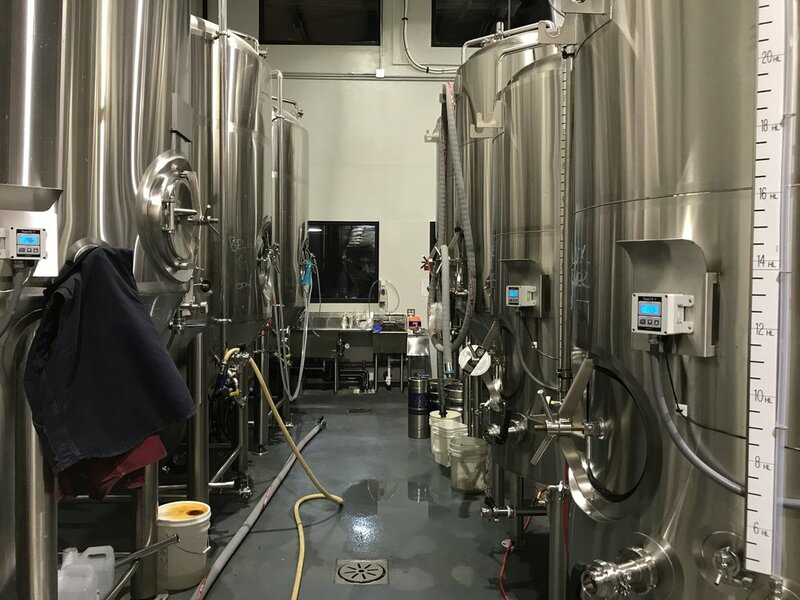 One is aging right now and is set to be released next year on our 1 year anniversary but it is tasting pretty good now so we thought we’d give you a sneak peek on our 1st day of business. As it will not be fully mature for another 11 months we are dubbing this version Young One. Future Primitive Brewing is a family friendly taproom with beers brewed on-site and growler fills available to go. Our onsite Food Trailer, Das Wagon, is now open serving Central European Inspired Cuisine.